Love To Cook? Cook a Monday Night Meal! "inviting students to put their faith into action"
Meet the 2017-18 Lutheran Campus Ministry Student Executive Board! Hello. My name is Michael Phillips and I’m the Lutheran Campus Ministry’s Student Coordinator. I am a junior at Stout studying for a Science Education degree. Outside of school, I enjoy hunting, fishing, wrestling, and lounging around on my couch for too much time. This year I am excited to come back to the community of people that has helped me have fun and grow in my faith. I’m also excited to meet new members who join our Christian group on campus. Well, hello there! My name is Katie O’Connell (you can call me Katie O’C) and I am a Junior majoring in Professional Communication and Emerging Media. I am also the 2017-18 Communication Coordinator at LCM. So, basically I’m the face behind the Weekly Emails and everything that goes into Campus Life Today! Brandi says I’m the voice of LCM because of how loud I am. Chances are you will probably hear me before you see me. When I’m not at LCM, you can most likely find me bumming around in Katie Wags’s office with Jimmy, on the 4th floor of the library attempting to do homework with Brandi, laughing at myself (I think I’m the funniest person I’ve ever met. No joke. ), talking about my dog and hedgehog, playing guitar or ukulele, or singing Disney karaoke. LCM has definitely become a home away from home for myself and many other students. I love the hospitality of the students, the willingness to learn, the acceptance, and, of course, the home cooked meals! On top of that, LCM is more than just students coming together to grow in their faith. It’s a family that’s full of students that genuinely care about each other. Plus, some of the people there find myself as funny as I do. Shout out to those kids! 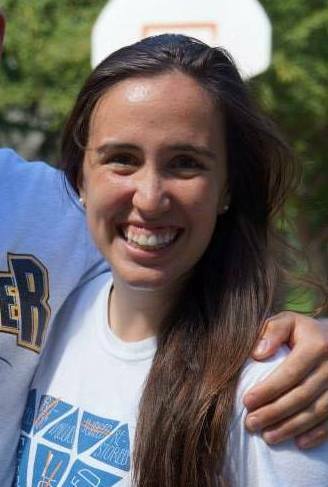 Hi, my name is Maddie Wozney and I am the Service Coordinator this year for Lutheran Campus Ministry! I am a Junior majoring in Psychology here at Stout. My hobbies outside of school are hiking, camping, and traveling. I love to be outdoors, exploring anywhere I can. I also love spending time with my family and friends. That is why I enjoy being a part of the LCM family. LCM was the first org I joined on campus and I am so glad I did. They welcomed me with open arms and showed me that I had family at Stout even if I was 110 miles from home. If I had to use one word to describe LCM, it would be accepting. You are accepted for who you are no matter how many times you go to church, or if you are still figuring out who you are, or where you are in your faith journey. They guide you on that journey, they pick you up when you stumble, and they show you that you are never alone. This year is particularly exciting because we have an entirely new Leadership Team. I am most looking forward to seeing where all of these new perspective and ideas lead us this year! Hello! My name is Annalise Muller and I am a Sophomore majoring in Early Childhood Education. I am excited to be working at the Blue School with the 3 year old kiddos. This year at LCM I am Outreach Co-Coordinator. I enjoy hanging out with my dog and two cats, going on bike rides, reading, listening to music, going to concerts, and hanging out with friends. I love LCM because it is a place where anyone can feel welcome and it is packed full of people who are kind and loving. LCM is a place where I feel I can be totally myself. I am also excited to have a bigger ole in LCM because I’m excited to spend more time with some awesome people. Hey! My name is Simon Quigg and I am a Junior at the University of Wisconsin-Stout. I am Outreach Co-Coordinator here at Lutheran Campus Ministry (LCM.) I enjoy many things including, but not limited to: canoeing, camping, hiking, biking, and anything else outdoorsy. I also enjoy weightlifting and video games and anything food related. There are so many reasons why I love LCM; I enjoy the fellowship with my peers as well as making new friends. Everyone is so welcoming and inviting, once you come you will feel like you have been there your whole life. The thing that I am looking forward to is meeting new people. Hi friends! My name is Sidney Dombrowski and I am the Spiritual Coordinator for LCM! I am a sophomore in the Art Education program at Stout, with an unofficial minor in Photography, and do so many things within my major (I’ll do my best to list them all.) I am Co-Coordinator for the Children’s Art Club at Stout, an Art Education Ambassador, I participate in National Art Education Association, and am a tutor in the ePortfolio Lab. Don’t worry if you can’t remember all of that because neither can I! I love LCM because it’s essentially my “Home Away From Home,” I know that I have people to lean on, and I’m always here for them to lean on me. I’m excited for Praise Band this year, which is the highlight of my week! I am also really excited for all the new people at LCM! I’m just really excited! I have a lot of “hobbies” that include petting dogs at the Humane Society, also known as volunteering. I also like when they jump up on me with dirty paws and get paw prints on my clothes and I don’t even mind when they lick my face. If I didn’t pretend like I was doing homework so often, I would definitely spend more time with them. I also really like to rollerblade, which also consists of falling down, but hey, that’s what I get. I pretend like I like to work out, but I only do it because it’s good for me. One of my favorite things to do to waste time is play guitar and sing, which I don’t get to do often enough. Oh, and I like elephants! Hiya! My name is Brandi Dombrowski and I am a junior in the Early Childhood Education program. I am the Social Coordinator of LCM. I am not a cat or a dog person… I’m a baby person. I love holding babies, rocking babies, feeding babies, and I even don’t mind changing them. Ice cream is the best food ever invented; any flavor, any time of day (mint chocolate chip is my favorite though.) I am obsessed with any and all thing giraffes. They’re just my favorite. You can often find me on the 4th floor of the library “studying.” Just listen carefully for Katie O’Connell and that’s where I am. I am also in a sorority, Delta Zeta, and Aspiring Educators of Wisconsin (I didn’t just “Pick One” as Stout suggests.) I love to do outdoorsy things, paint, or read when I have down time. I love LCM because it is home to me. I have found some of my very best friends here at LCM. So many of my amazing college memories come from time spent with my LCM Family, through LCM events, or even just study dates. This year at LCM I am looking forward to another year of awesome Monday Night Alive and the social events that I will be planning (hopefully including some ice cream.) I am also really looking forward to meeting all of the new faces of LCM this year! Hello my name is Kalley Bergstrom. I am a Discipleship Co-Coordinator with my twin sister Kyla! I am so excited to take on this roll this year and learn more about my faith with all of you! I am a junior now at UW-Stout in the Early Childhood Education major. I am from Cumberland, Wisconsin where I live with my parents and twin sister and two yellow labs Rilee and Brandee. I love spending my time on the lake paddle boarding, kayaking, and swimming! Hi, my name is Kyla Bergstrom. This year I am Discipleship Co-Coordinator with my twin sister Kalley. I am very excited to see what this year has in store for all of our LCM plans and goals. I am a junior this year in the Family and Consumer Sciences Education program. On campus I am also the treasurer for Aspiring Educators of Wisconsin and president of the Stout Association of Family and Consumer Sciences. I am from Cumberland, Wisconsin, I live with my parents, twin sister and two yellow labs (Rilee and Brandee). In my free time I love being at the lake paddle boarding, kayaking, swimming and riding on the boat. I also love to go camping, hang out with my family and friends, sew, and bake. Hi everyone! My name is Brooke Rossi, and I am the new Social Media Specialist on the LCM Specialty Leadership Team. I am a Junior at Stout this year, and I am majoring in Professional Communication and Emerging Media. Outside of school, my favorite things to do are read, write, hang out with friends, and listen to music. I also enjoy crafts like crocheting, and I have an intense love for puzzles. I am completely content when I am by a lake. I basically have the personality of a grandma in a 20-year-old’s body! I love LCM because the community is so accepting, caring, and fun-loving. We get to participate in many fun and eye-opening events to spread our mission around campus. We all try to learn about each person and connect with them to make them feel more comfortable. It is important to many of us to grow in our faith, and we love to share our passion with others. I am looking forward to many events we will be doing in LCM this year. My favorite events done in the past are the corn maze, the leadership retreat, spring break in Louisiana, and volunteering at Feed My Starving Children! There will be events like those this year and many more. I’m excited to see new people and encourage others to grow with me! Taryn Derfus is a Junior studying Graphic Design and Interactive Media with a concentration in Interactive Media at the University of Wisconsin-Stout. She is part of several communities around campus, her favorite being Lutheran Campus Ministry (LCM). This school year, 2017-2018, she will be the Graphic Medial Specialist on the LCM specialty leadership team. She hopes that her leadership position will attract new members to join the close-knit group that LCM has provided for her. She can’t wait to spend quality time with her LCM family by sharing meals, stories, and faith with one another. These individuals that she holds close to her are there to share their love and support and not just in the Ministry building. No, these friendships continue even after Monday Night Alive has ended; they carry with you to the walks of home, to the classrooms, to the hallways, and making plans to hang out even more. Her other activities include swing dancing, reading, watching YouTube, singing along to show tunes, and longboarding. Hi, I’m Allison Rigotti and I am thrilled to be serving as this year’s Youth Outreach Team Leader. I am currently a sophomore in the Marketing and Business Education program. Outside of school I enjoy reading, camping, fishing, swimming, and spending time with my family. I love LCM because it is an opportunity to be surrounded by a faith community and family away from home. This year I am excited to see all that LCM can do to get high school and middle school youth involved in our ministry and how LCM can get involved in local churches’ ministry. I know this is going to be a fantastic year at LCM! Hello! My name is Jame Springsteen (Jimmy). This year my position is Prayer Stone and Flat Jesus Ministry. In this position, it is my job to make sure that we have enough prayer stones and Flat Jesus’ made up for people to take one (or as many as they would like) then they feel the need to take one. I am a junior this year studying art education. Outside of school I really enjoy watching movies, playing games, working on art projects, and on rare occasions leaving the house to spend time with friends. I really enjoy Lutheran Campus Ministry (LCM) because it’s a place where I feel welcomed. I commute to class, so I don’t really know anyone in my classes and I don’t make many friends, but LCM is a nice quiet place where I can go and wait for my classes and I can spend time talking to the friends that I’ve made while being in LCM. I also spend enough of my time in the Ministry building that it’s usually where people go when they look for me or when they want to hang out with me. I don’t know what I’m really looking forward to about this year at LCM, but I know it’ll be a great year with many smiling faces. Join us today for Ash Wednesday as we begin this season of Lent together. We have services at 11:25am and 12:25pm. Welcome back Stout Students! May you always remember that no matter what comes your way this semester - joy, stress, challenge or success - nothing can ever separate you from the love of God! ♥️ Blessings on your first day back!